Send your best wishes with this stunning bouquet of red carnations, yellow daisies, purple Monte Casino blooms and green button poms. 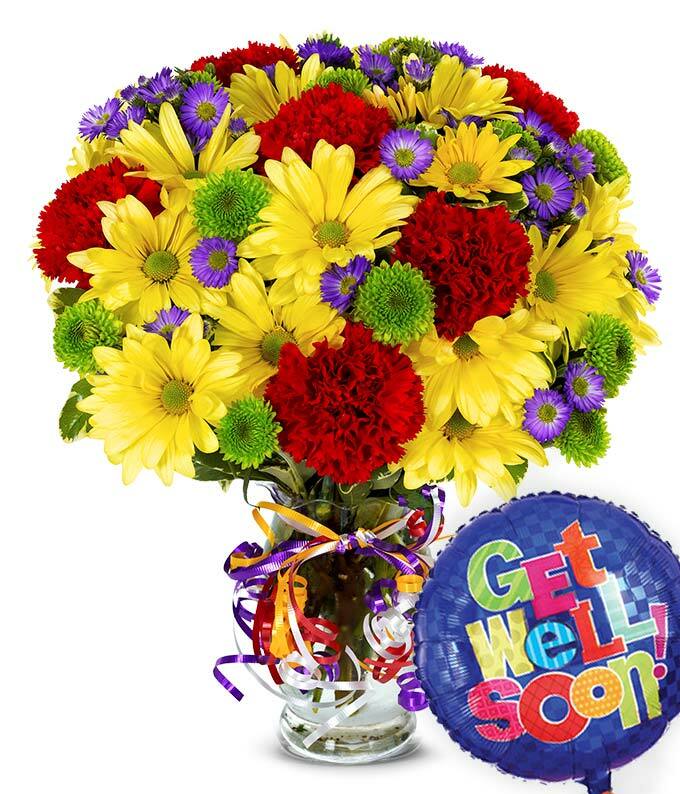 Delivered in a clear fluted vase with a colorful curly ribbon and tied with a "Get Well" mylar balloon. Put it all together and you're sure to make anyone's day brighter! Measures 14"H by 11"L.